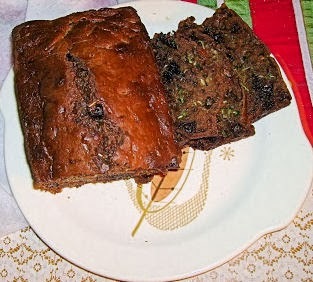 I went crazy when I saw this recipe for Chocolate Chip Zucchini Bread in the 2005 version of Cooking Light Annual Recipes . 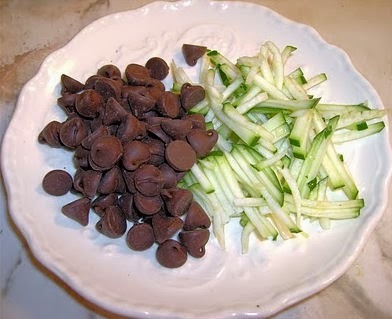 I am drawn to the unusual and mixing chocolate and zucchini seemed highly so. 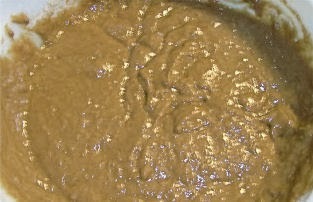 Besides, it is a known fact that anything with chocolate chips is earth-shatteringly good. 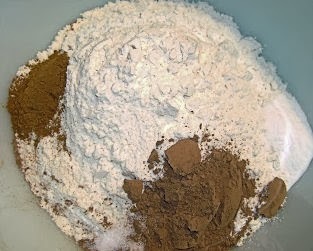 What makes this recipe even more exciting is that it is lower in calories and fat than typical chocolate-based breads. 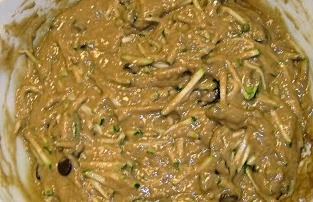 This particular recipe was contributed by Elizabeth Alcorn of Fort Mitchell, Kentucky in the "Cooking Light" 2005 July issue. I wish I could thank her in person for her marvelous contribution to my list of all-time favorite bread recipes. 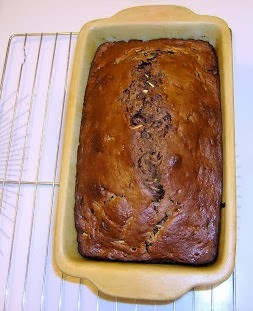 For now, I'll pay tribute by baking a beautiful fresh loaf of chocolate chip zucchini bread. 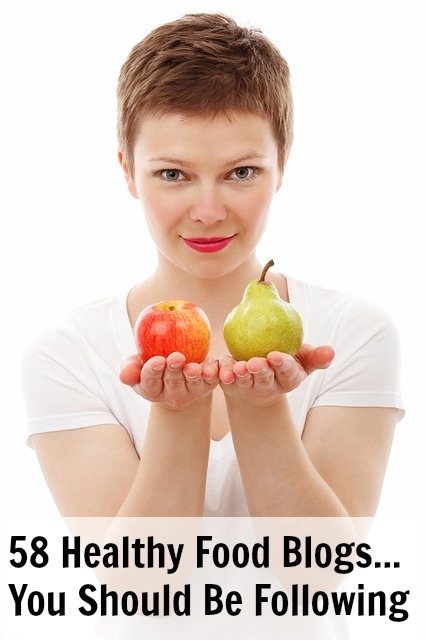 16 servings (serving size 1 slice), Calories, 161; Fat, 5.1g; Fiber, 1.4g. 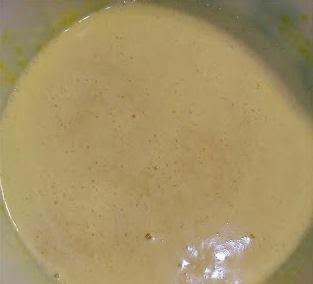 2) Place first 3 ingredients in a large bowl; beat with a mixer at low speed until well blended. 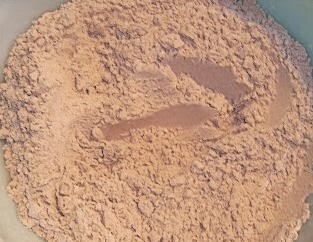 4) Lightly spoon flour into dry measuring cups; level with a knife. 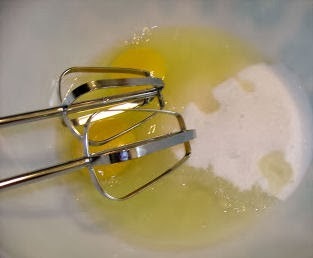 Combine flour and next 4 ingredients, stirring well with a whisk. 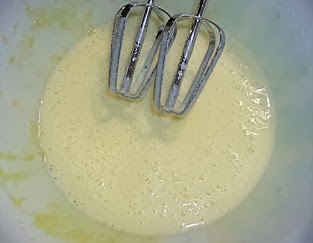 5) Add flour mixture to sugar mixture, beating just until moist. 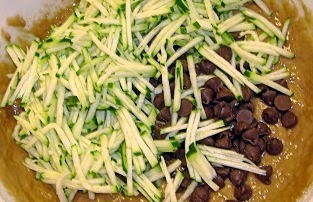 6) Stir in zucchini and chocolate chips. 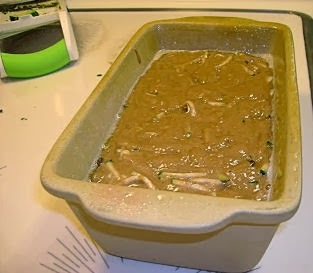 7) Spoon batter into a 9 X 5-inch loaf pan coated with cooking spray. 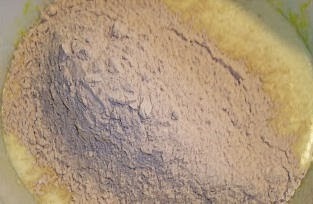 8) Bake at 350° F for 1 hour or until a wooden pick inserted in center comes out almost clean. 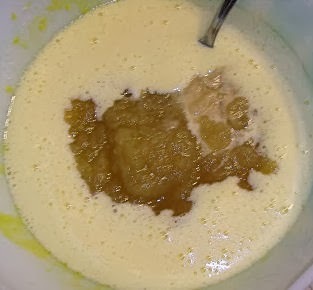 Cool in pan 10 minutes on a wire rack, and remove from pan. Cool completely on wire rack. I can scarcely contain my excitement because my chocolate chip zucchini bread turned out unbelievably rich, moist, and delicious. This miracle bread won't last long in my house.